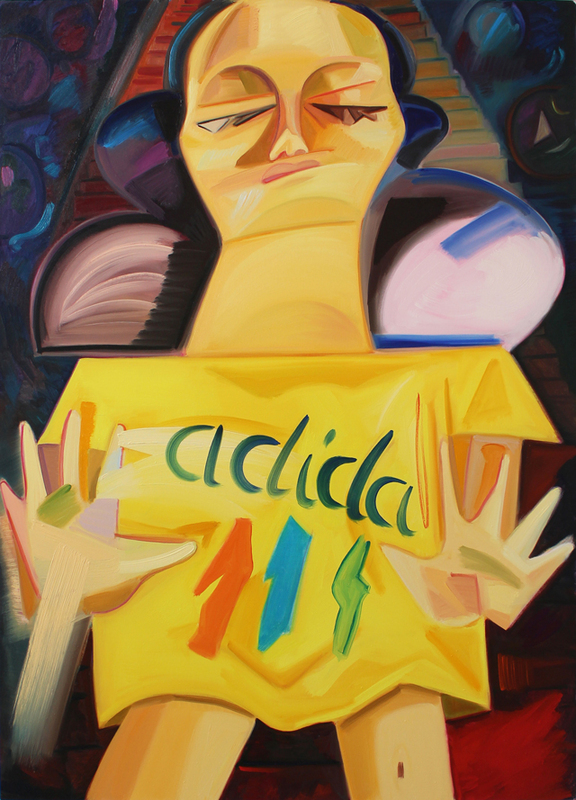 RK Lynn interviews painter Dana Schutz. In her introduction Lynn writes: "Pulling ideas from disparate subjects, pop culture, mythic figures and current events, Schutz takes us from mundanity – showering, waiting for a taxi, sleepwalking, sneezing – to a unique blend of (mythical) science fiction – getting dressed all at once, amalgamations of God, being and rendering an octopus at the same time – boasting a 'give me anything and I’ll make it work for me' narrative abstraction. That is to say, narrative opens up the possibilities of each work, enabling a kind of logic for the what and how of each painting. One could argue that Schutz acts as a kind of visual biographer, capturing the sensibilities of our time – the chaotic energy of everyday life – celebrating humanness."